The release of a new phone and and new operating system will always stir up hackers and Devs, that want to explore and expand the capabilities that particular device. The release of Microsoft’s new Windows Phone 7 was no exception. A few weeks ago the ChevronWP7 team released the first and only Windows Phone 7 “unlocking” tool. After a little more than a week, Microsoft got wind of the tool and was obviously upset. Soon thereafter Microsoft contacted the ChevronWP7 team, which is comprised of some well-known Windows enthusiasts Rafael Rivera, Chris Walsh, Long Zheng. After some brief talks, the two sides reached a mutual agreement and the ChevronWP7 team discontinued the ChevronWP7 Unlock Tool. They removed all download links from the team’s blog. For the most part, it looked as if Windows Phone 7 homebrew was dead. So we thought. Looks like XDA-Developers have taken over the reigns of any current Windows Phone 7 jailbreaking. So far there isn’t any new application or any new method to unlocking your Windows Phone 7 device. It just so happens that some smart and savvy XDA members have decided to save CERT file, which is instrumental to the WP7 unlocking process. 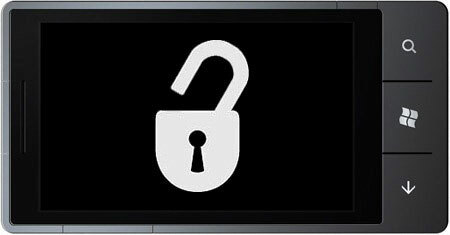 Along with the original ChevronWP7 tool users can still unlock their new Windows Phone 7 device, for the time being. That is until now more recent developments from few days ago. Seems that several users (now all users) realized that there newly jailbroken Windows Phone 7 devices were all of a sudden re-locked. The original rumor was that Microsoft was remotely targeting and re-locking jailbroken WP7 devices. Of course people were outraged, but at the same time there was no official confirmation form MS that they remotely re-locking devices. After the smoke seemed to have cleared, it turns out that Microsoft is doing no such thing to unlocked devices. Instead it looks like the phone does a periodic check with MS serves to determine if any files have been altered. Once again the ChevronWP7 team did a little poking around and came up with the server check explanation. Here’s what the team posted on their blog. Contrary to circulating reports, Windows Phone 7 devices unlocked via ChevronWP7 are not being targeted by Microsoft. Instead, the phone is reverting back as a result of a periodic check. Simply put, the phone rings Microsoft and asks “Hey, am I supposed to be unlocked?”. If Microsoft responds with a “No, what are you thinking?”, the phone apologizes and initiates a lock down. This is a big blow to the WP7 homebrew community. So far there is no fix for this, and a lot of users are reporting that they now unable to re-unlock their phones a second time, or after they have re-locked by Microsoft. You can attempt to unlock your WP7 device if you want. You have a better chance for success if it is your first time using ChevronWP7, but after that your phone could be re-locked at anytime, it’s all a matter of when it decides to phone home to MS servers. I will probably run a quick tutorial on how unlock or jailbreak your WP7 device using the ChevronWP7 and CERT method. In the meantime, I will keep you posted on any new developments regarding the Windows Phone 7 homebrew saga. If you want to follow the the thread yourself on XDA, this is the best one to read. Imagine if this server check was utilized by Apple with iOS…. One of the greatest communities would reach a dead end and probably fade away…. Ok first of all you just have to change a small registry key in the phone and it’ll never be reLOCKED. Second more and more homebrew hacks and apps are appearing everyday. You just need to know how to find em on google. wp7 homebrew will work but be more creative and you’ll see it’s a great phone with alot of easy to getinto code.